I would like to know which product(s) you would recommend to get rid of thousand leggers (those bugs with lots of long legs that can run really, really fast). Also, something that will get rid of ants, silverfish, spiders and stink bugs. I would also like to know what applicators I will need to buy in order to apply the product. And how and where to apply. The ants I find in the kitchen. Sliverfish in the attic and sometimes the bedroom. Spiders in the basement, kitchen, bedrooms and bathroom. And thousand leggers usually the kitchen, bathroom and basement. I also have spiders that make webs outside which run across my sidewalk every night going from the trees to the fence and I would like to know if I can spray anything in my trees to kill and keep away these spiders from blocking my walkway with huge webs. And I need to know if it is safe for my dogs. I currently have an exterminator who comes to my house every 4 months. Which I don't think is often enough. I will see bugs even though he has been to my house to treat the house. But even though I would see a spider or silverfish once in a while I would not see any thousand leggers. I recently noticed a baby thousand legger outside. I told the exterminator when he was here and now I found one today in my kitchen. I don't think he is doing his job correctly and I think they are changing the formula and it isn't as potent. Years ago I had a different company come to my house ( a different house) and they came to spray every month. I never saw not even one bug! Then they said they didnt have to come every month and would be coming every other month. That is when I started seeing bugs again. And now the company I use now at my current house comes every 4 months. That won't cut it. I even told them that every 4 months wouldn't be enough. They insisted it was enough. Told me they would spray outside and inside. Said they would spray the side of the house up I forget how many feet. They spray from the truck with a long hose. Well, they only did that the first time. Every other time was with a back pack. They made it sound great. Told me they have better products than they did years ago. When the guy comes he doesnt always spray outside and if it is too hot he won't go in my attic. And now that I am seeing thousand leggers I decided to look for products on the internet. I would like to give your products a try. Thank you in advance for your time to read and answer my question. Most pest control companies will perform an outdoor treatment with either a backpack or handheld sprayer. This is the standard way to treat. This is also the way to get the strongest chemical solution. Lawn sprays, etc, or the chemical that is usually in the tank of the truck (long hose) is usually much weaker, and basically for grass, not for the perimeter of the house. An outdoor perimeter treatment is very easy to do. Simply spray Bifen, Demon WP, Pestabs, etc, to the base of the house 2-3' out from the foundation, spray all mulch, rocks, etc. Be sure to also spray inside weep holes. You can also spray the foundation up 1-2" feet, around windows, doors, eaves, etc. It normally takes 2-3 gallons to do this for the average size home. I also highly recommend using Granules such as Talstar, Bifen, etc, as a secondary treatment AFTER spraying. Apply 5 or so lbs per application by scattering by hand or by using a cup. Scatter liberally along the foundation and make a swath 1-2 feet wide and create a barrier along the foundation. Indoors, spray Demon WP, Bifen, Pestabs, etc, SPARINGLY, behind furniture, dressers, nightstands, beds, sofas, etc. Just spray the baseboards lightly, sort of like misting plants. Follow that up with ePest IPM Bug Traps under and behind furniture, placed up against the walls. Use 1-2 traps per room. If you follow this procedure and do this every 2 months, your thousand leggers, spiders, roaches, ants, silverfish and whatever else you see will be very limited in numbers. If you do this every 3 -4 months, then you will have a gap or a period of time in which you could see these critters because the chemicals begin to wear off. By doing this every 60 days, you keep a constant barrier down. I am not a believer in monthly pest control service for homes, UNLESS you live in an area that is highly infested with bugs, and you have to spray this often. Attics? Niban Granules work great, just scatter them out too. Bottom line? you can do pest control yourself, and much cheaper, more effective in most cases than a company. And if you see bugs, you can always do it again until you get the results you want. We use the chemicals that I just mentioned in our service business here in Dallas, Texas. This is exactly what we do for most of our residential customers, and it works. Do Moth Balls Get Rid of Thousand Leggers? Moth Balls (napthalene) do not kill insects, they repel them. In most cases, centipedes and millipedes originate outdoors. Therefore the treatment needs to be performed outdoors too. I would recommend a residual insecticide such as Demand CS instead of Moth Balls. The only product that contains Napthalene that would be cost effective outdoors is a product called "SnakeAway". It contains Napthalene and can be sprinkled around the foundation generously to "maybe" repel the centipedes. It is certainly going to smell like moth balls for a while. 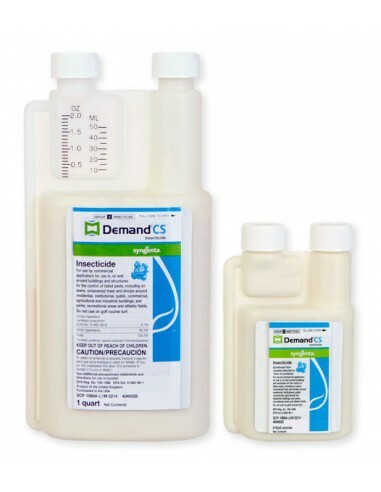 Demand CS is practically odorless.